i have a 93 honda civic si with a blue e-manage td04h-15g or to the best of my research. i brought the car out for the spring to hear a high pitched niose coming from the turbo/throw-out bearing and oil coming from the turbo c-clamp. 1.Is there a direct replacement without having to re-tune? 2.I have a junk 2nd gen dsm turbo with i think is a t25. if i got a adapter plate and custom downpipe would i have to re-tune? 3. If worst comes to worst how expensive would it get rebuilt with its shaft play or whatever it is? 2. Yes, but just for the fact you'll need to make sure you have proper intercooling, because you're blowing hot air now. the T25 is much smaller than a 15G. 3. Its not that bad, but it depends upon what's wrong. A "high pitched whine" typically means compressor wheel contact, which means you'll need to replace, rebalance. There are knock-offs you can use, but if you're not prepared to do it yourself, you'll need to get the wallet out. Youre asking if A changes does C change. A+B=C so yes. If you change anything to any part that isn't the same you need to retune. If you end up needing to replace the turbo, I have one that needs some work laying around. $200 would fix it, I just don't have a use for it anymore. 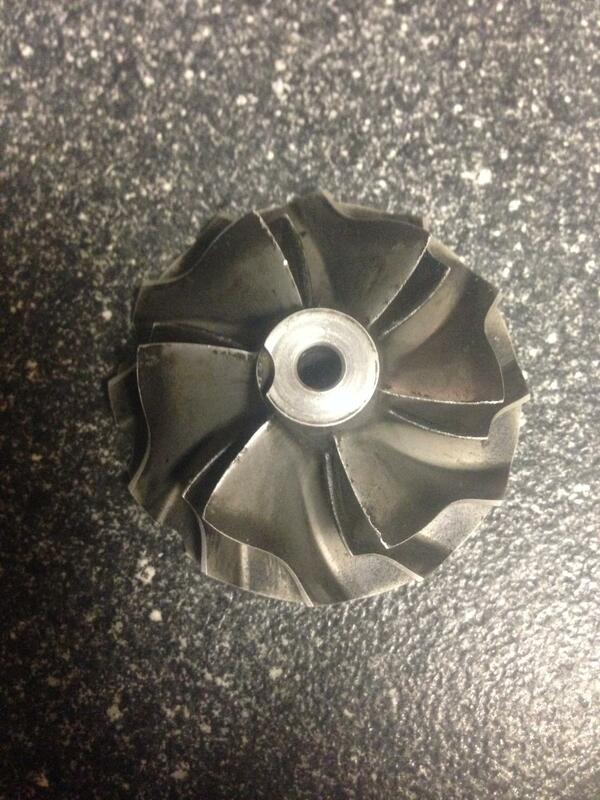 If you replace the turbo with something other than a 15G, yes, you will need a retune. There's no ifs, ands, or buts about it. Like Shodan said, whining noises are bad - there's metal to metal contact somewhere in there. 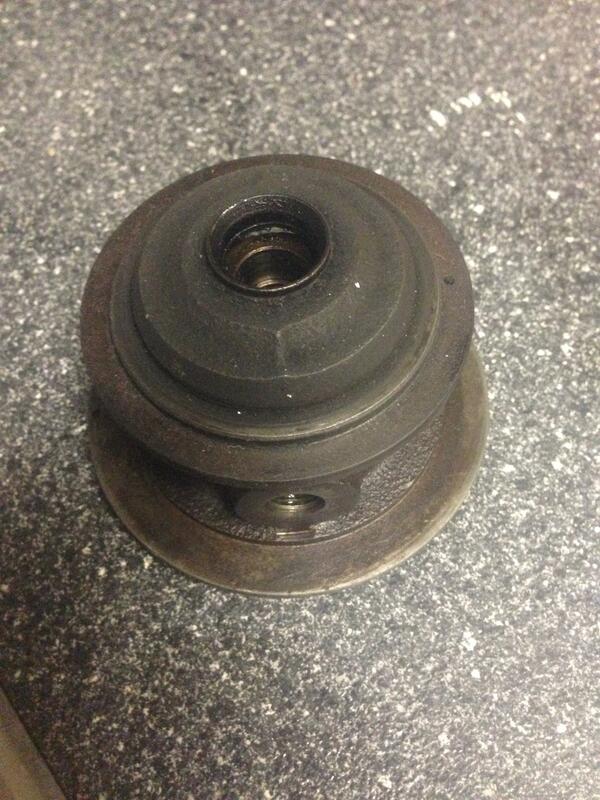 Best case scenario, your center shaft is rubbing the bearing, and will need to be replaced. Worst case, once again like Shodan said, wheel contact, which definitely means the wheel and possibly housing are damaged, and the center shaft might be bent. when you send your turbo for rebuilding you can try a 18 or 19T compressor housing with a 18-19T compressor wheel and modify to a lathe the compressor wheel's base. of course after rebuilding the turbo must be balanced. Take pictures of the turbo and oil leak. you need to visually inspect the compressor wheel and turbine wheel. you'll never find another Greddy 15G, they haven't been made in forever and if any components like wheels or housings are damaged you'll be hard pressed to find replacements. and yes, any change in the turbo or boost pressure from the 15G would require a retune. now if you get a larger turbo you could get away with the existing tune if you run lower pressure. the gt28 would be the closest thing you could get to the 15G and it would behave in a similar manner. the 2860 would give you room for more power down the road if you choose to do so. however either of these options would require a retune and potentially a new downpipe. personally I think a gt28r would be the best bang for your buck and make for a very responsive street car. He would definitely need a new downpipe. The Greddy 15G uses a really weird O2 housing to three bolt downpipe. 1.its a stand alone fms so if i remove it will the stock tune still on the ecu? 2.i have a dc sports cat back will my stock headers line up with exhaust or wil i need to get it custom cut. 1.Its considered a "piggy back" to the ECU. When you take E-manage off, your tune goes with the E-manage. Stock ECU won't even start the car anymore. 2. Your "cat back" is exactly that: from the catalytic converter back to the end of the car. If the header is stock in the stock location it should line up with the catalytic converter as long as you didn't make any changes to the catalytic converter pipe. what would i have to do to the ecu after removing the e-manage? Nothing. just remove the bigger injectors. 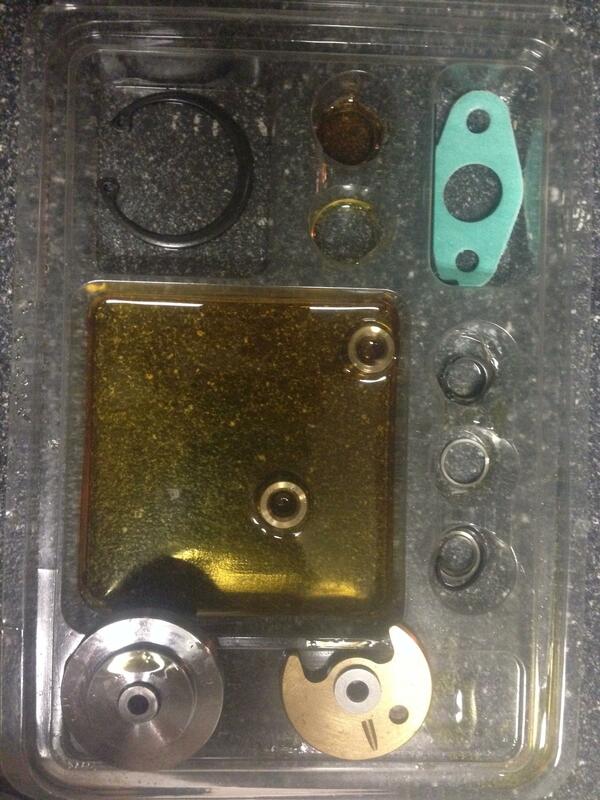 basically anything you put on with the turbo kit comes off and then you're fine. catback should bolt up fine to the stock header. but why remove the turbo kit? for a few hundred dollars you up and running again. and if you try and sell it you'll have a hard time selling it for any reasonable amount of money with a blown turbo. 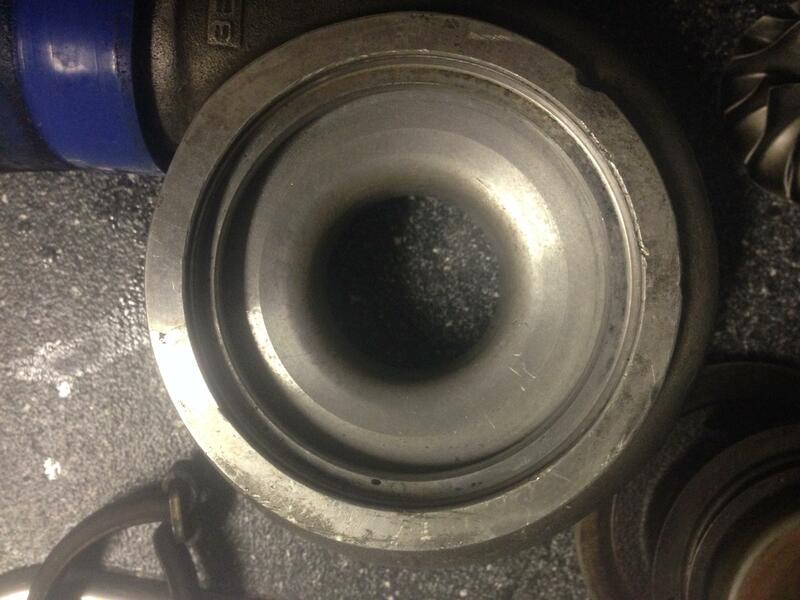 The center shaft is snapped at the nut. It snapped during the rebuild. I've seen quotes from $200 to $600 to get it fixed, but the wheels and housings are both perfectly healthy. I can ship it to you for $100. That would be perfect if the OPs turbine shaft isn't damaged. all you would need to do then is get a standard rebuild kit (i can locate one for you on the cheap) and have it rebalanced. Did it snap during teardown or assembly? 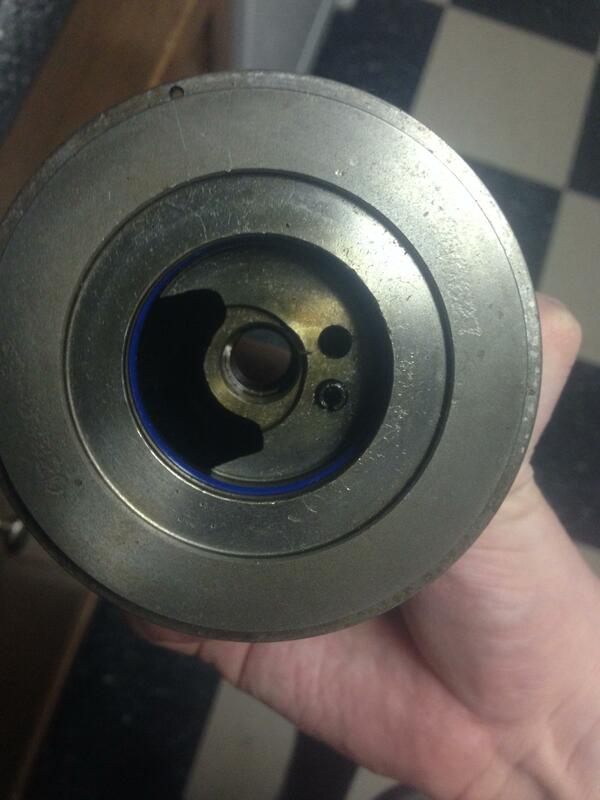 if your CHRA has new internals (typical rebuild kit) then all the op would need to do is swap his (assuming here) undamaged turbine shaft into your CHRA, torque the shaft nut to 20-22inlb and then pay the 50-80 dollars for balancing and shipping each way and he's in business for roughly under 250 bucks. when i take my turbo apart what do i look for to see if the turbo shaft was still good? It snapped during assembly, and I have the complete OEM rebuild kit from GPop (the "large" kit, not the small one). The kit costs $100 last I checked...I can seal it back up and include it. Nope, other than the snapped shaft and blown oil seals, it's perfectly healthy (to my eye, at least). I can post pictures of it later tonight for public viewing, though. I'm stupid, and almost forgot about this thread. 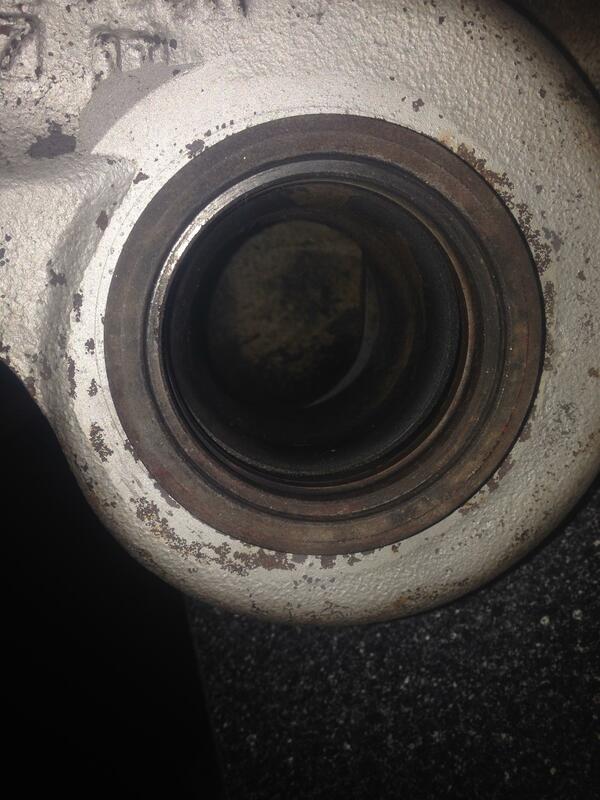 I also think I threw away the exhaust side wheel, since it's attached to the shaft that snapped. I'll just post links, so I don't go bogging down your thread with pictures. I was saying the op should check for that damage. 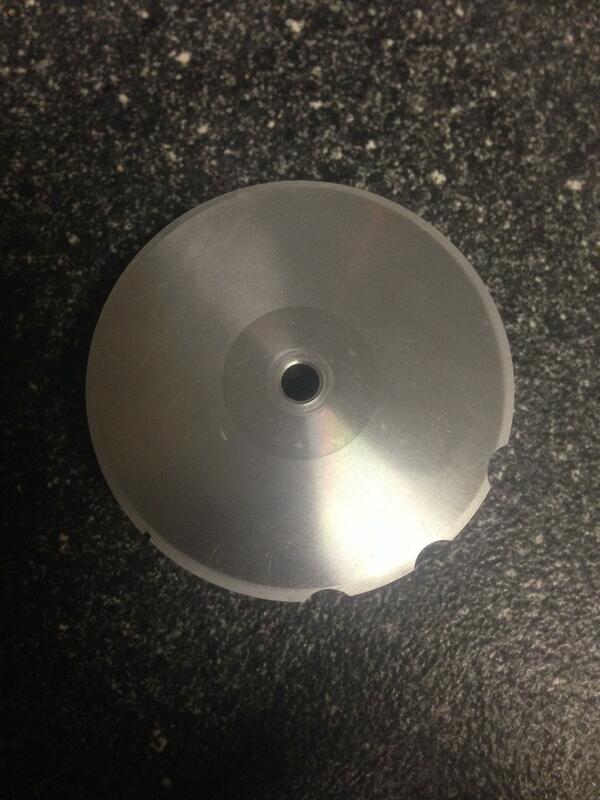 if his turbine wheel shows even the slightest blade contact he's done. Swapping turbo manifold styles, should I get a re-tune? retune for bigger exhaust ? re-tune after msd cap and coil?